Celebrate the start of Fall by treating yourself to playful, versatile clothing you'll wear time and time again. 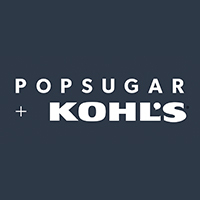 Here, we're bringing you the POPSUGAR at Kohl's collection, featuring basics for the not-so-basic that are not only fresh and flattering, but also unique and full of personality — just like you! These are the clothes we live in, play in and love in. 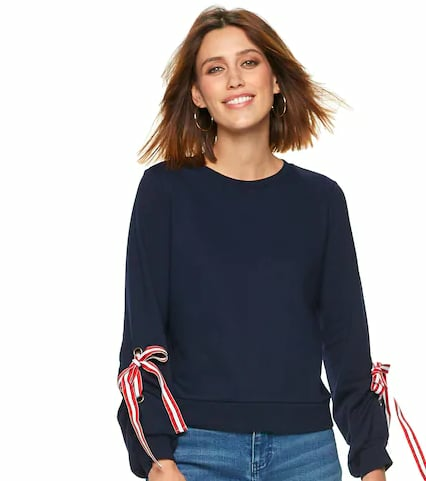 When it comes to not-so-basic basics, the POPSUGAR at Kohl's collection has you covered for the Fall season and beyond with eye-catching patterns and easy-to-wear trends. While the collection is full of wardrobe staples — and includes items in sizes 0-24 — the designs feature unexpected cuts or playful details that make each piece a real must-have while helping you celebrate your individuality. From bold-hued crop tops that flatter every body, to timeless jackets with a unique twist, each piece is something you can mix and match according to your ever-changing mood, or to reflect the many sides of your personality. Below, you'll find easy-to-style separates you won't be able to stop wearing, no matter your taste. Even better, these effortless pieces will seamlessly integrate with your current wardrobe, instantly establishing themselves as forever favorites! 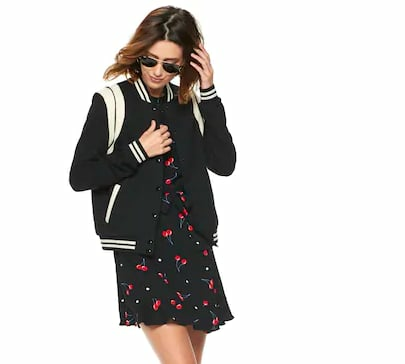 This athletic bomber jacket is about to become your go-to top layer. 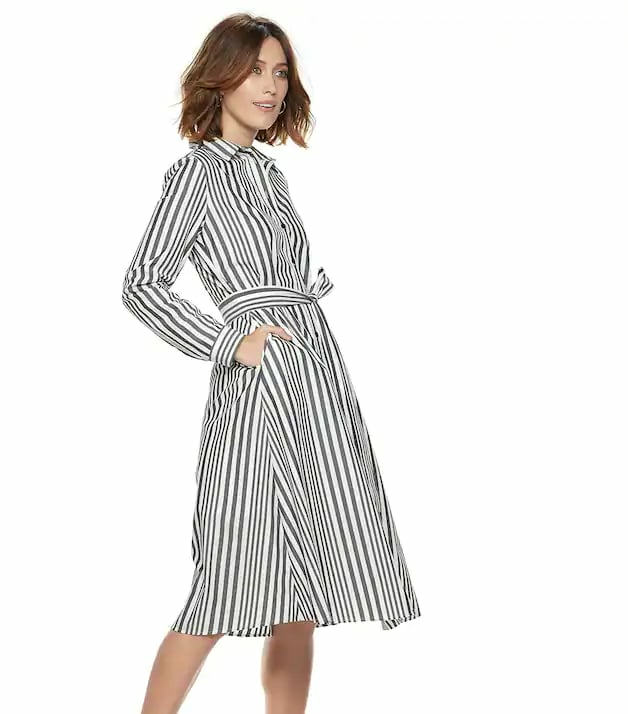 In neutral black and white with strategically placed stripes, this piece can be thrown on top of any and every outfit while making it just that much cooler — no athleticism required. 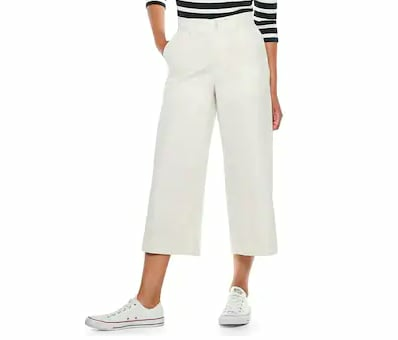 What's more chic than a wide-leg crop pant? Look effortlessly polished in a fashion-forward silhouette that won't let you down and this specially-designed cut that's universally flattering. 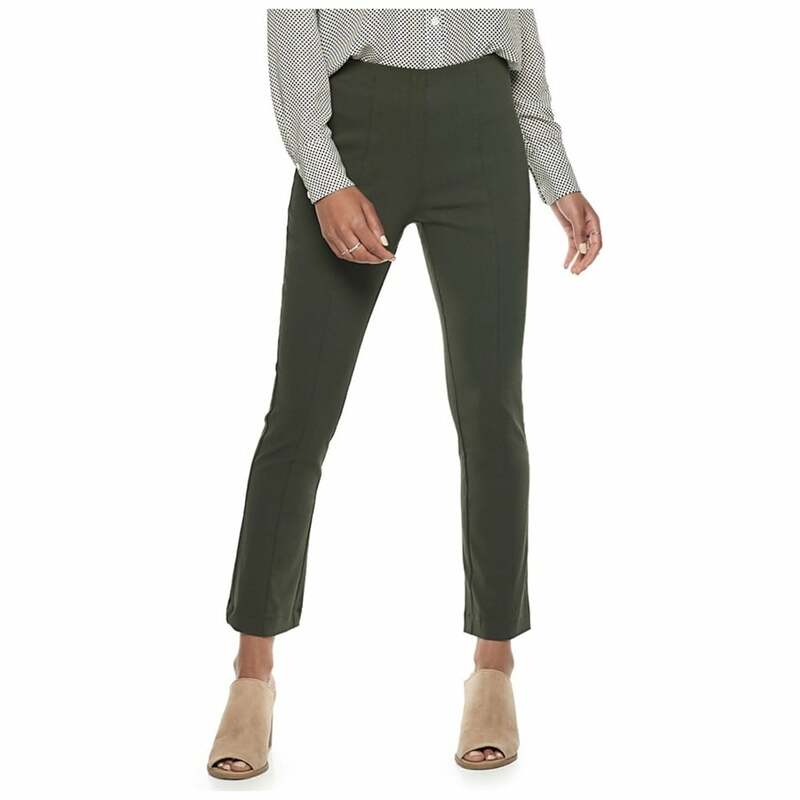 For extra style points, pair these cropped flare pants with sock booties. 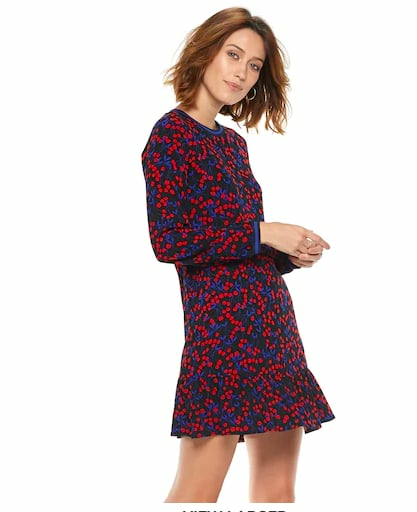 Make your daytime looks a little more poppy with this delightfully colorful cherry-printed mini dress. Featuring a sweatshirt neckline, flirty flounce hem, and cozy long sleeves, consider this sporty-meets-feminine piece your new LBD equivalent. 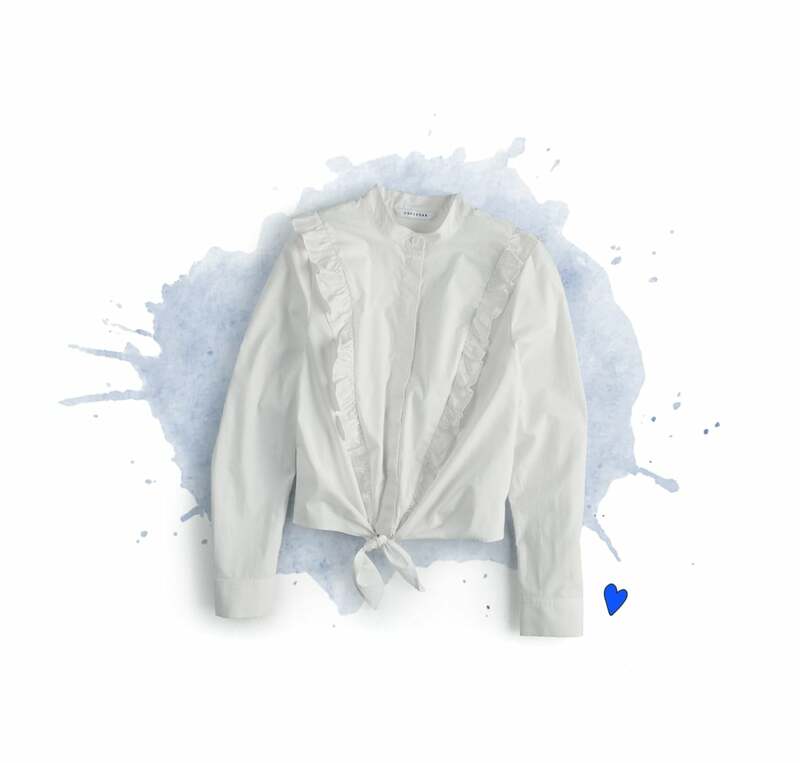 A button-down with a modern tie bottom and sweet ruffles is the updated version of the tried-and-true white blouse. 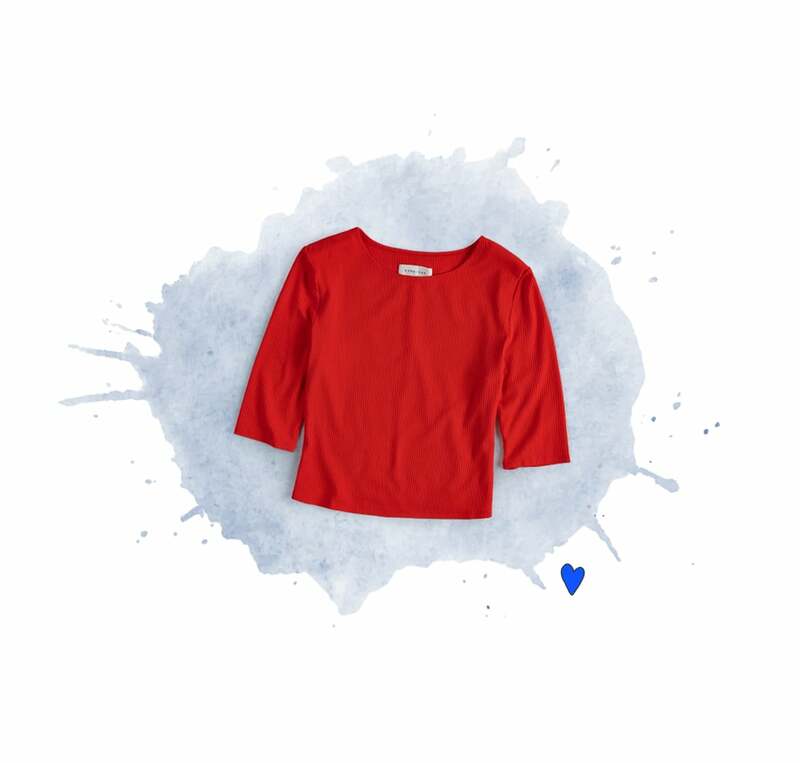 This sharp yet feminine top will go the extra mile when paired with everything from denim to skirts. 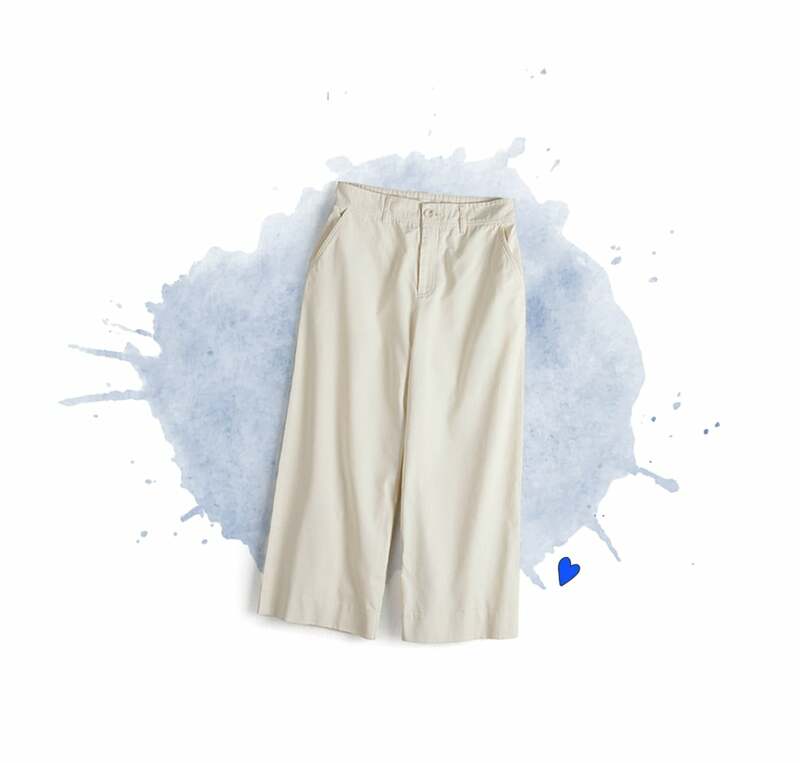 These crisp ankle pants look like stylish dress pants, but feel like comfortable lounge wear. Their gorgeous olive green hue is also very current, and will flatter nearly every color in your closet. Team with a structured blouse and pumps for the office and a tee and sneakers for the weekend. Your closet can never have too many crop tops. 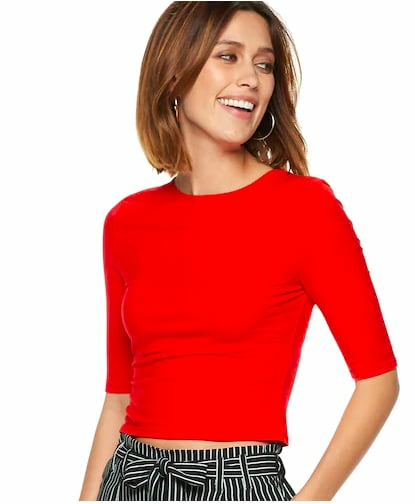 Perfect for layering and pairing with high-waisted anything, this cheerful crop top comes in multiple hues and patterns, making it your new go-to shirt. Bonus: the elbow-length sleeves add an extra elevated touch, making this tee suitable to wear anywhere. Trust us, you're going to want every single one. Warning: this is not your average trench coat. 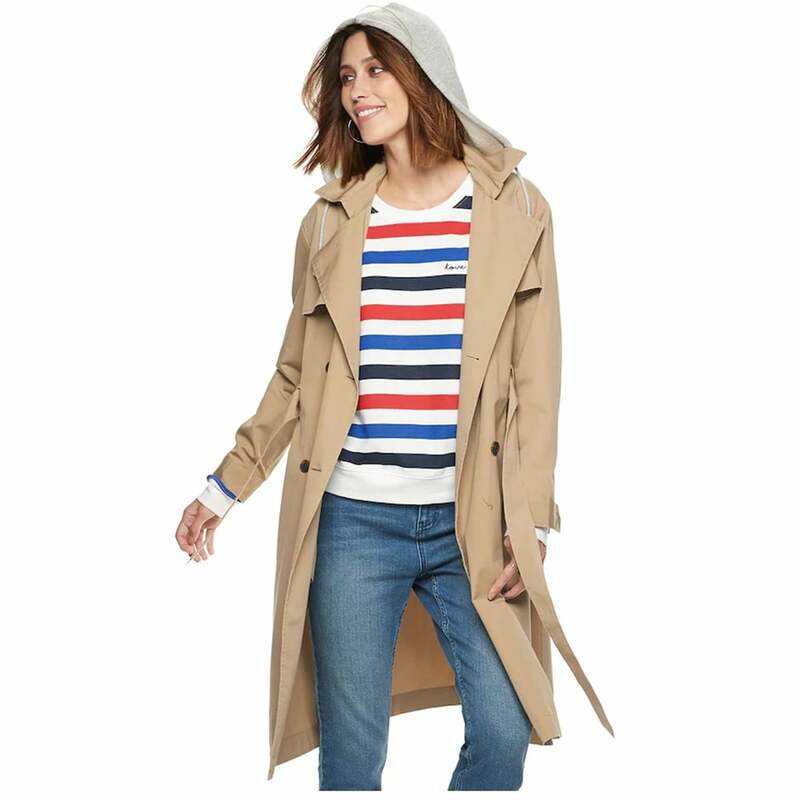 This trench coat comes updated with a so-cool hood in contrasting fabric, making it the perfect top layer for both casual and dressy occasions alike. In short, it's a timeless piece that's just different enough to wear on repeat without ever getting boring. Update your off-duty closet with this simple number that's more versatile than you may think. 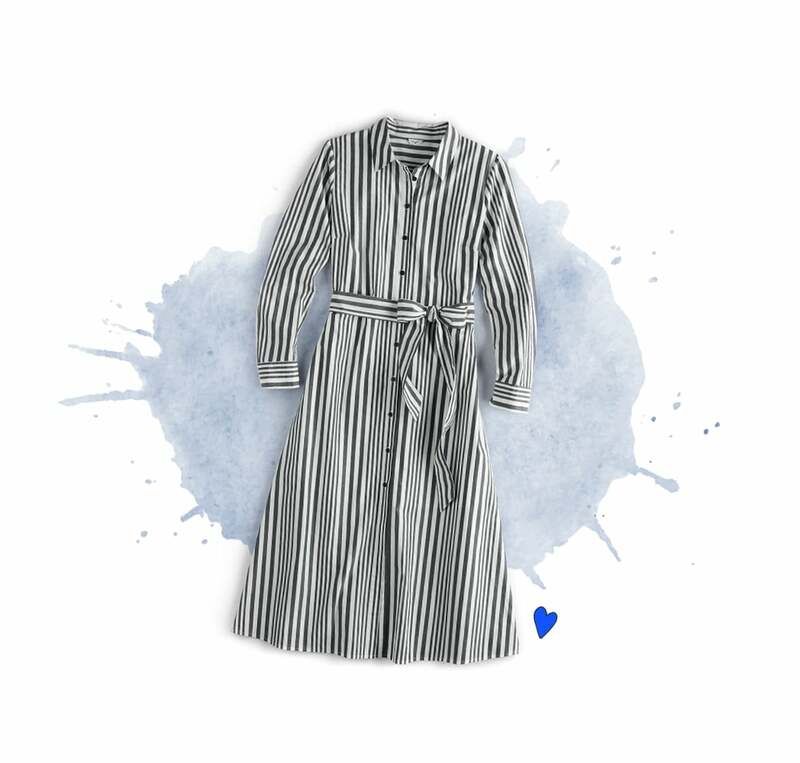 With stylish vertical stripes and a flattering cinched waist, this shirt dress will be the base of endless Fall outfits. Just think of all the fun accessories you can pile on! 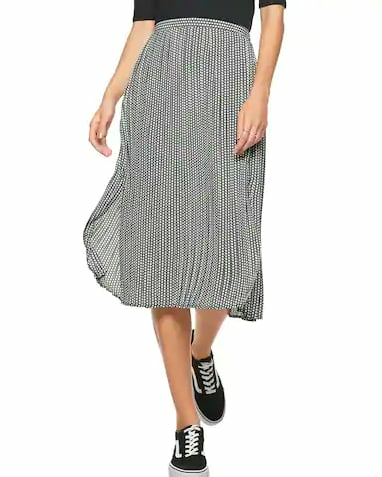 Forget the pencil skirt, this season's midi skirts are fluid printed styles that pack a major punch. We can't get enough of this subtle star pattern that's both feminine and fresh. Wear your star-printed skirt with an oversize knit and ankle boots. Stand out in a sweater that rises above the pack. 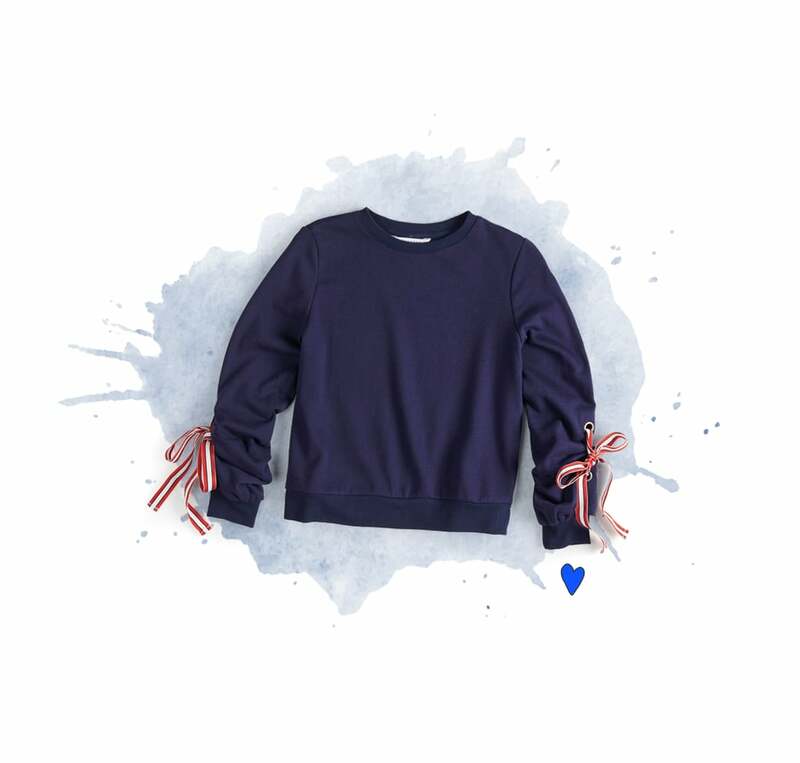 We love the slightly-preppy bow detailing on this comfortable, must-have tie-sleeve sweatshirt, and we love even more that it's work-appropriate, making it perfect for those I-just-rolled-out-of-bed-but-still-want-to-look-polished days.